Former WEICan student Logan Campbell is preparing to race in the Mens Sonar sailing event at the Rio 2016 Paralympics. Logan was with the Institute during summer 2010. 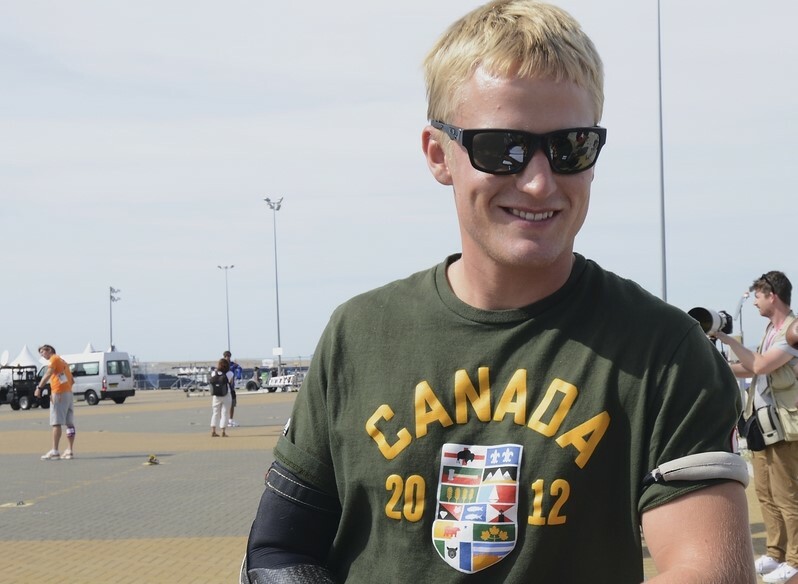 Logan Campbell is making his second appearance at a Paralympic Games, after competing in the London 2012 Paralympic Games where he placed 10th. Campbell, will be sailing in the Sonar class in Rio, with teammates Paul Tingley and Scott Lutes. In 2006, Campbell suffered a setback when he was involved in a boating accident. Taking some time to focus on his education, he spent the next few years studying at the University of Saskatchewan, where in 2011 he earned a Bachelor’s Degree in Mechanical Engineering. The event will start on September 12th and last until September 17th with daily racing at 1:30 Rio time. The races can be viewed on the CBC website for free. Update 22/9/16: Canada won bronze in the Sonar event. USA took home silver, Australia the gold.